Great news! 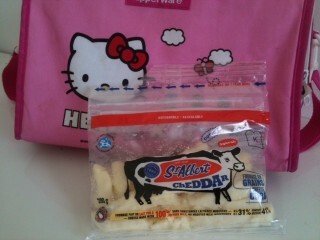 The cheese curds will be back. As I placed a handful of those smooth rubbery nubs—St. 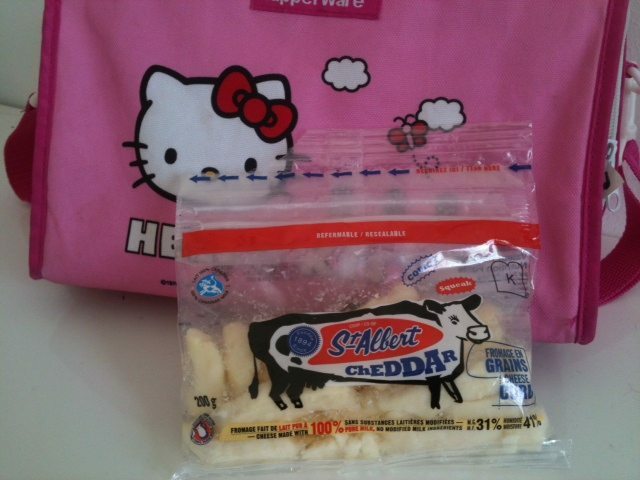 Albert’s cheese curds—into my daughter’s lunch box this morning, I realized how ubiquitous that label with the elongated cartoon cow has become in my life. I confess I have been feeling rather smug since discovering that the blocks of St. Albert’s medium cheddar, a staple in my fridge, is sold at my local drug store for at least a dollar cheaper than I’ve seen it anywhere else. Not much of a bargain-hunter normally, it always gives me a thrill. But yesterday the gut-wrenching news came about a fire that gutted the St. Albert Cheese Factory in the village of St. Albert southeast of Ottawa. A gasp of grief could be heard across the region and beyond. Its squeaky curds have become synonymous with poutine, and a short-hand for quality for the purveyors who advertise the cheese by name. I am not the only one who was relieved to hear the reports that the factory will indeed be rebuilt. The factory’s former general manager has even guaranteed that the annual Festival de La Curd held in August — now in its 20th year — will take place as scheduled. Now if you’ll excuse me, I’m off the drug store to stock up.